EndNote online’s CWYW commands for Mac will now remember user credentials between sessions. Get More on the Web link in Help now routes to correct site. You can manually run the update by using the main menu: EndNote X9 –> Check for Updates –> Follow instructions. 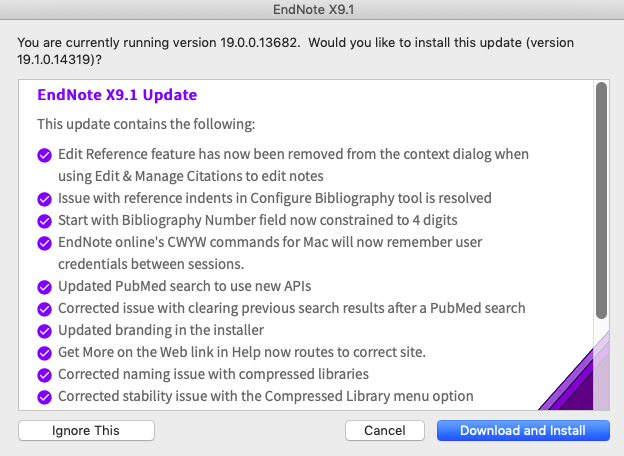 Update 29.03.19: EndNote X9.1.1 is now released with a fix for the import error that occured with the X9.1 update. Import from Oria and other affected databases work now normally. We recommend all users to update as soon as possible. If you do not get this update automatically, go to the main menu and choose: EndNote X9 –> Check for Updates –> And follow the instructions. The update causes an error when you import references from some databases. The error causes an error message telling you that your library is currently being used by someone else when you try to import from databases like Oria, Embase and other Ovid-baser and Google Scholar. Imports from PubMed, Cinahl, Scopus and Web of Science are not influenced by this error and will work as normal. 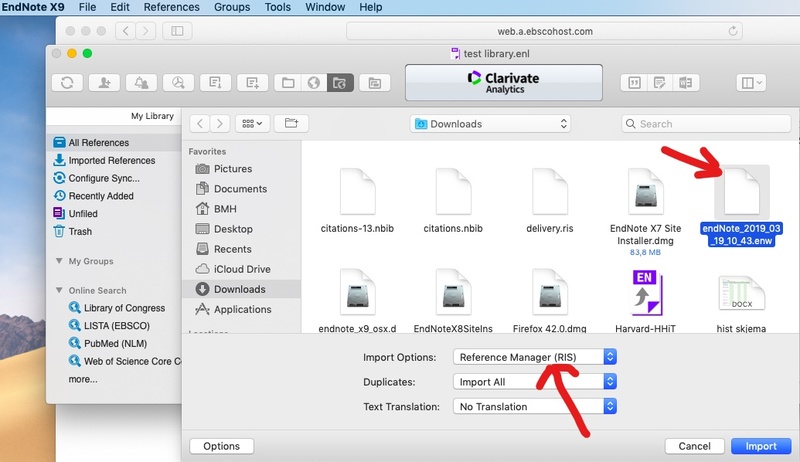 Open your library in EndNote and choose File –> Import, choose import filter «EndNote import» or «Reference Manager (RIS)» under options, and localize and choose the downloaded file (it’s usually in the download folder). Finish with «Import». Se picture below for details. 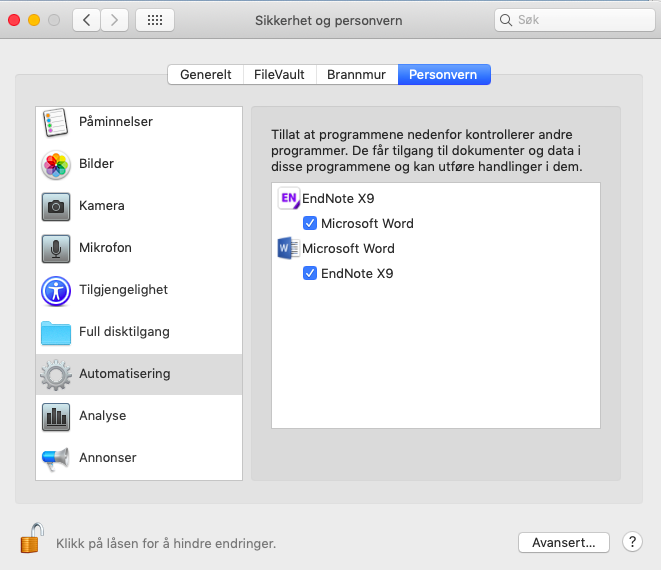 The new OS for Mac seems to require that you allow EndNote to do changes in Word. If you get the dialogue box shown below, its important that you click OK. If you don’t do this, the EndNote functions in Word will not work properly (when inserting references og changing style) and you will not get any error message og warning. 3. Go to Security and Privacy. 4. Choose the privacy tab. 5. Click on the padlock down on the left to be able to make changes. 7. Make sure that both Word and EndNote are activated (see picture below). EndNote og Word will now work properly. Contact the library of you need help. Contact the library at post@bmh.ntnu.no if you have any questions.